Google is trying to make it easier to find nutrition information online for a wide range of foods with a new search feature whose aim is to address the "cumbersome and daunting process" of making smart eating choices. Say you want to know how many carbohydrates there are in a medium-sized apple. 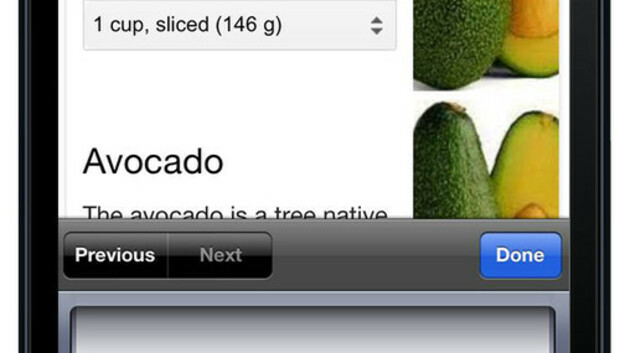 Typing that question into the search bar returns the answer: 25 grams, 4.4 of which are dietary fiber. The query also returns a link to the Wikipedia page about apples and a complete nutritional chart. The search feature will be rolled out over the next 10 days to U.S. users in English only and will be available for desktops and Google's Android and iOS apps. It will return relevant nutrition information to the top of the user's search results under an expansion box, which includes dropdown menus to toggle between other related foods or serving sizes. The feature is designed to use natural language-type searches, Google said in a blog post. People can ask, for instance, "How much protein is in a banana?" or "How many calories are in an avocado?" (1.3 grams and 234, respectively, according to Google) Queries can either be typed or spoken using Voice Search on mobile or the desktop. If people really want to get things done fast, searching just for "banana" would also serve up nutritional information, Google said. Currently the nutrition information for more than 1,000 fruits, vegetables, meats and even meals like burritos and chow mein can be accessed using the feature. The tool makes deciphering food labels or recipes easier too, Google claims, by letting users ask questions like "what nutrients are in breadfruit?" or "is there sugar in grenadilla?" Google's Knowledge Graph powers the new search feature, which is designed to integrate more contextual information into search and uncover new connections or links between topics. "The graph helps us connect things that are related, even in cases when those foods have a completely different sounding name from what you asked," said Google product manager Ilya Mezheritsky. So when users search for "summer squash carbs," "zucchini" will be included as a relevant food in the dropdown, because it is a type of summer squash, Google said. The Knowledge Graph comprises the backbone of other Google projects designed to vastly expand its core search experience, such as with Google Now. That product acts as a personal digital assistant on mobile devices, to serve up information on the fly as users go about their day. The company's Google Glass head-mounted, wearable computer system is poised to offer similar functionalities. More features, foods and languages will be added over time, Google said.